So I started reading some weird fiction lately – specifically Annihilation and Authority, the first two books of Jeff VanderMeer’s “Southern Reach” trilogy. The Southern Reach is a secret agency that manages expeditions into an area known as Area X. Area X is an uninhabited and abandoned area that nature has begun to reclaim. The third book (Acceptance) doesn’t come out until September, so I’m going to wait until then to review the trilogy. Some of the features of Area X got me thinking about Tempora Mutantur again, and I started hunting for books with a similar theme. Earlier, I had read about Roadside Picnic, by the Soviet sci-fi authours Arkady and Boris Strugatsky. The text of the story is available online, and epub versions are easy to find. I downloaded a copy, and read it through in a day. I must say I’m still confused about the ending, but the idea of the zones is very compelling. The story inspired the Ukrainian FPS S.T.A.L.K.E.R., and the Finnish diceless RPG Stalker. The latter is of particular interest, as although I’m lukewarm about the whole “diceless” idea, I quickly realized that the minimalist Tempora Mutantur ruleset could be adapted very easily to this setting. We’ll see if I get inspired enough to do a “Stalker” edit of Tempora Mutantur, but in the meantime I provide the following ratings for Roadside Picnic and the Stalker RPG. A Dark Room (adarkroom.doublespeakgames.com) is a minimalist post-apocalyptic online text-based game! A Dark Room is strictly text-based, but requires you to wait for bars to tick down before performing activities over and over again. It all starts off in a dark room, where you find a fire that you can light. From there, you just keep stoking the fire every time that the bar cools down. Nothing much seems to happen until a stranger bursts into the room with you, shivering and murmuring in the corner. Not long after this, you’ll start to run out of wood with which to stoke the fire with, prompting you to go into the forest and gather some more… How much wood you have determines what you can build and what you can do as the story progresses. 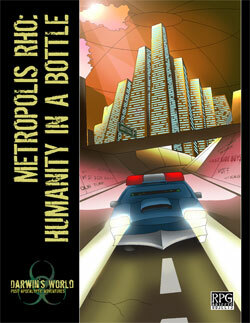 Metropolis Rho – hereafter shortened to Met Rho – is a 2005 supplement by RPGObjects for Darwin’s World describing a degenerate society confined within a domed mega-city. The world is a desolate wasteland. Civilization. The seed of humanity. I’m not that great at reading book-length RPG supplements on the computer (or tablet). I usually skim them, but miss the interesting bits. On a related note, I finally printed out Sine Nomine‘s Other Dust supplement last weekend. I can’t recall when I actually picked up the PDF, but the datestamp is from July ’12. I don’t remember it from last summer, but I’m sure giving it a good read now. It bills itself as a sandbox guide for “roleplaying after the end” and is inspired by the “classic role-playing games of the seventies and early eighties”. Both statements are accurate. UPDATE: Looks like they’ve changed the name to Mutant Badlands. The old links will still redirect you to the new site. I recently joined PostApoc.net, a directory of websites, blogs, and services related to the post-apocalyptic genre. Today I received an e-mail invite to the Radiated Wasteland beta-test. In a future not far from now, Earth has been set in f lames. The once civilized world is now a radiated wasteland. 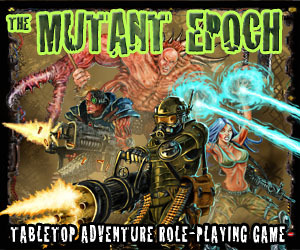 As a player you are one of the few survivors facing the challenges of a postapocalyptic world, fighting against radiated ghouls, fierce mutants and merciless raiders. To survive, players must establish their own safe houses, team up and scavenge for scarce resources. Although I’ve never played any of the popular MMORPGs, I have a soft spot for browser-based offerings based on my enjoyment of the (minimalist) Urban Dead game. So I logged on and made a character and was promptly eaten by mutant rats. (It was actually cooler than I make it sound.) Concept and graphics were awesome; there are a couple fiddly bits in the interface but nothing critical (and it is a beta-test). 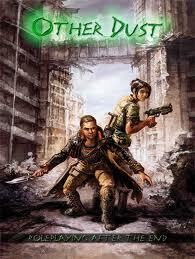 Anyhow, consider this a plug for both PostApoc.net and Radiated Wasteland. I’ll post my thoughts later after I play some more. On a whim, I picked up a short story last Friday for the e-reader. It’s called WOOL and is by Hugh Howey. The story of WOOL takes place on a post-apocalyptic Earth. Humanity clings to survival in the Silo, a subterranean city extending hundreds of storeys beneath the surface. Within a couple hours of reading WOOL, I picked up the WOOL Omnibus, which collects the first five WOOL stories. 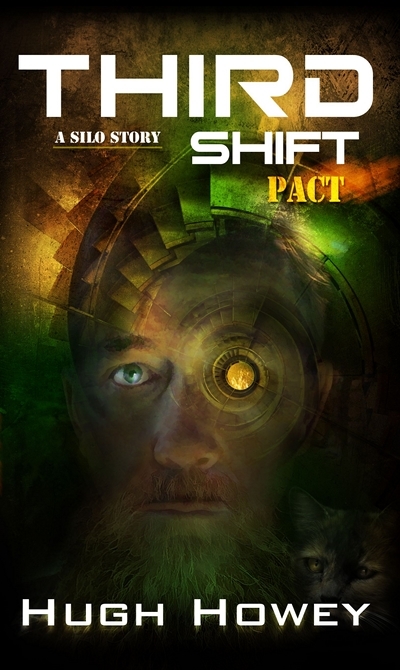 By the next day, I had read through all of them and picked up First Shift – Legacy, which is set in the same fictional future. Needless to say, I recommend the series.